The best fillets obtained from mackerel fished in the Mediterranean, are carefully selected and them steam cooked. Then the product is processed by hand in order to conserve the organoleptic properties of the mackerel, a light yet flavourful fish. The product is conserved only using extra virgin olive oil and salt. For more information on product labels, please contact our Customer Service department. The information on the labels of the products may vary for reasons beyond our control, therefore, there may be discrepancies between the information on the site and that on the products delivered. Please always check the information on the product before consumption or use. The products from the Convento in Cetara are a clear expression of the traditions of the Amalfi Coast: they have always selected only the best products from the sea, so they can be enjoyed in Italy and all over the world. 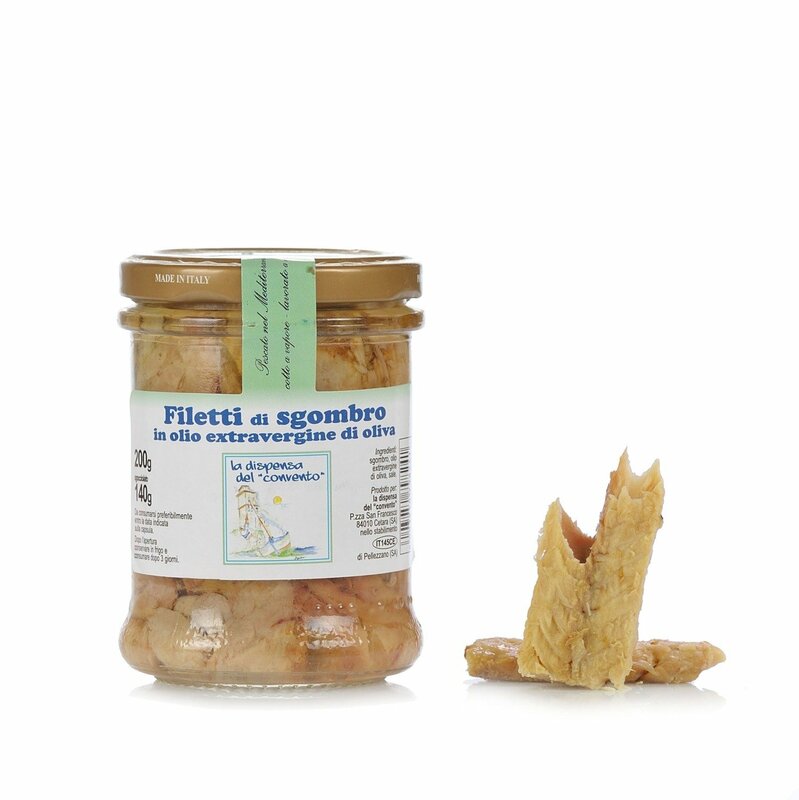 These intense and inviting flavours are part of the gastronomic and culture of the Campania region.